Liphatech is the only manufacturer that can offer you a complete soft bait rotation. Only using one active ingredient or bait type in areas with ongoing rodent activity can increase the potential for a resistance problem. Mouse populations in particular often prefer one flavor or texture of rodenticide over another (behavioral resistance). 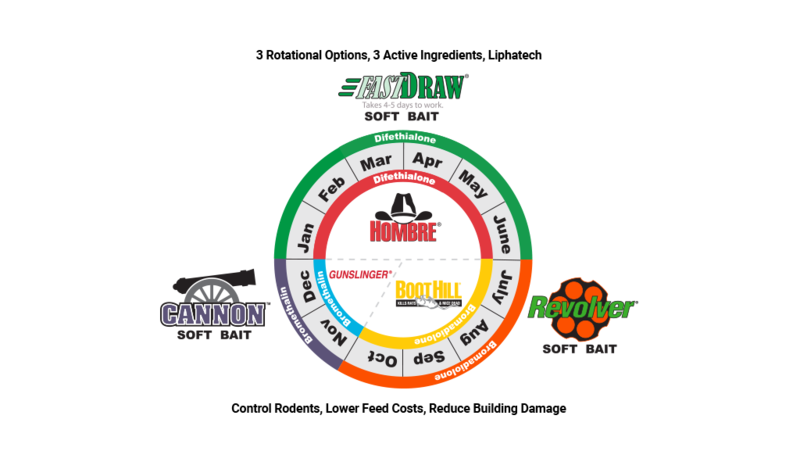 A rodenticide biosecurity strategy that includes rotating to Cannon Soft Bait for cleanout in November and December just makes sense. This formulation can be used in hot or cold environments, making it an excellent choice when an acute rodenticide is needed. Contains bromethalin (100 ppm), a non-anticoagulant acute rodenticide, in a palatable soft bait formulation. Easy-to-use measured 8g (0.28 oz.) 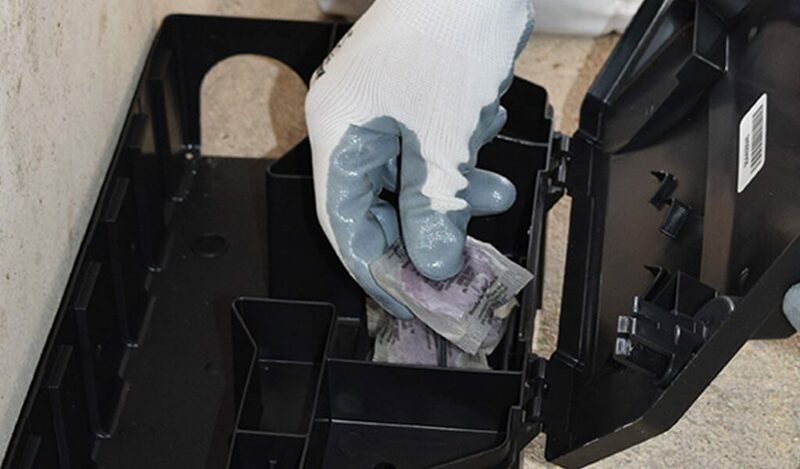 pouches can be secured in bait stations or placed directly in hard-to-reach places where blocks won’t fit. Available in 4 lb. bags (4 bags per case), the perfect size for properly baiting broiler, turkey or swine operations during cleanouts or de-pops. Rodents cease feeding after consuming a lethal dose, making it a convenient rotation partner. 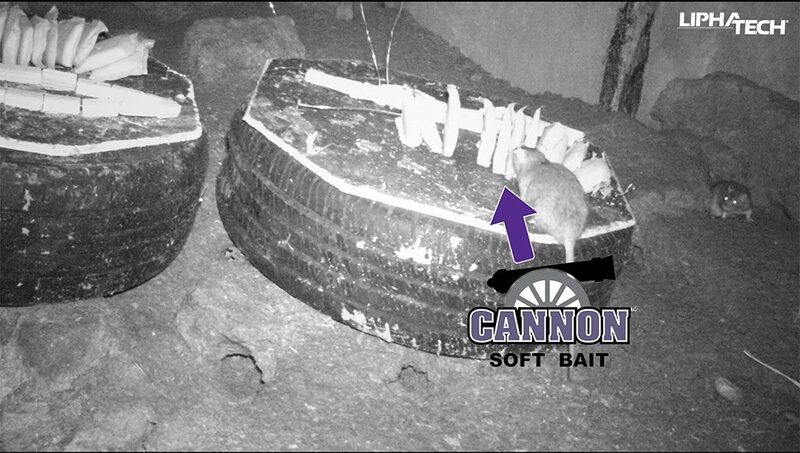 We placed large amounts of Cannon Soft Bait underneath an active dairy barn infested with rats. See for yourself how the rodents went for the soft bait, despite alternate sources of food.